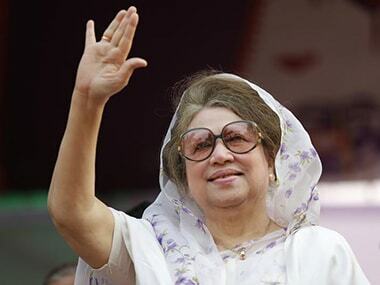 Dhaka: A Bangladeshi court on Sunday extended the bail of former prime minister and main Opposition BNP chief Khaleda Zia until on Tuesday in a graft case, media reports said. 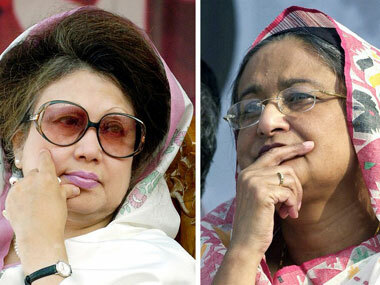 The 72-year-old three-time former prime minister was sentenced by Dhaka's Special Court on 8 February in connection with the embezzlement of 21 million taka (about $2,50,000) in foreign donations meant for the Zia Orphanage Trust, named after her late husband Ziaur Rahman, a military ruler-turned-politician. Judge MD Akhteruzzaman of the Special Judge Court-5 here passed the order extending the bail after Zia's barrister Moudud Ahmed submitted a petition seeking an extension of her bail in the Zia Charitable Trust graft case, The Daily Star reported. The same court on 1 February gave Zia, the Bangladesh Nationalist Party (BNP) chief, ad-interim bail till today and asked her to appear before it, it said. She could not appear before the court as she is lodged in jail after the conviction on 8 February in the Zia Orphanage Trust case, the report said. Meanwhile, Public Prosecutor Mosharraf Hossain Kajol moved a petition for issuing a production warrant against Zia, the report said. If the court passed the production warrant and the jail authorities produce her before the court on Monday, Zia can seek bail in the case, it said. The Zia charitable graft case, filed in August 2011, accuses four persons including Zia of abusing power to raise funds for the trust from unknown sources. The three others are: Harris Chowdhury, political secretary of then prime minister Zia between 2001 and 2006; Ziaul Islam Munna, Assistant Private Secretary (APS) to Harris; and Monirul Islam Khan, APS of former Dhaka city mayor Sadeque Hossain Khoka. The corruption case is one of dozens pending against Zia, who has been a rival of Prime Minister Sheikh Hasina for decades. The charges against her had already led to her boycotting polls in 2014, which triggered widespread protests at the time. 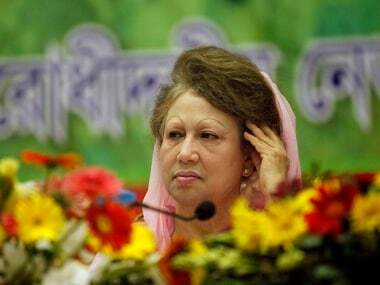 The BNP has claimed that the cases are politically-motivated to keep its party chief out of the national elections.